When someone makes a very flashy statement , it quickly catches the imagination of the public..News sites repeat it again and again because of its sensationalist value..If you read in general about the global financial industry, this statement wouldn't have missed you last week - "When you buy protection against an event that you have a hand in causing, you are buying fire insurance on someone else's house and then committing arson "..
A very catchy statement made as an accusation against Goldman Sachs recently..However if you dig a bit deep into this extremely interesting case, you would find that this statement is metaphorically wrong to be used in this context. At the heart of this entire quagmire is this structured financial product called 'Synthetic CDO's' .It actually seems to be like a gambling instrument.Player A thinks that a particular market ( in this case the housing mortgage market ) will tank. He thinks that he can profit out of this by buying a lot of 'Credit Default Swaps'(CDS) on some bonds in this market. However, he cannot get CDS out of thin air. Players B & C feel that the market is bullish and thinks that they can profit by being on the long side of insurance ( CDS ) . Investment bank GS brings these players together and with the help of another intermediary, structures this transaction putting player A on the short side , B & C on the long side. Essentially what GS was doing was just 'making the market' or brokering the deal between parties who had counter views on the market. It was guaranteed that one side will lose and other will gain. Eventually the market tanked & player A won. SEC case is built on this premise - "GS failed to disclose to players B & C that the person who came forth with the deal was on the short side ". In other words, GS failed to do its fiduciary duty to the investors. However this argument falls flat on one good point- The relationship between GS & players B&C is not investment advisor - investor .. Its rather the relationship between market-maker and a client. The client in this case is an established institutional investor who has his own views about the market..Had Goldman taken this deal to retail investors ( and internally betting against the market ) , it would have been a clear case of fraud. Similarly one of Goldman's counter arguments was also a little bit stupid. With respect to this particular trade, GS themselves lost out about $90 million as they were on the long side. How did GS lose ? It is common for the agency brokering the deal to hold a slice of investment ( a long position ) so that the other players on the long side get a confidence . GS apparently held that long position to give the deal a bit of credibility. They would have thought that they can easily exit this long position, which they could not do..And ultimately it resulted in a loss for them. Is there any Social Value for these Synthetic CDO's ? 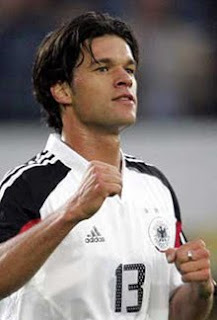 After all, the players involved have no insurable interest & they do not own the bonds. Isn't it just betting ? However, this argument isn't that sound. This is in one way the equivalent of short-selling in stocks. Short selling is a powerful mechanism to deflate bubbles. It aids in price discovery. However there is a big difference between short selling and CDS. The Credit Default Swaps are private agreements. Short selling is done through stock exchanges ( atleast a high volume ) . Very little information on the CDS market is known publicly. If CDS settlements are routed through central clearing houses,the information on the volume of bets would be known in industry and players would be more careful against bubbles. Infact, volume of CDS trading is a better indicator on the value of bond rather than pure credit ratings. Hence, I think the solution is not to ban Synthetic CDO's ( by that argument, even short selling will have to regulated as players just speculate rather than invest ) , but to make the information public. I don't think Goldman is 100% clean..However I would bet against SEC in this :). 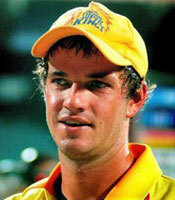 Doesn't Albie Morkel Look like Michael Ballack ? ?